Atut Med&SPA wellness area offers a variety of saunas- try our dry Finnish sauna, steam room and brine sauna. Find for yourself which one suits you most and relax. Bio Sauna is an excellent alternative to a Finnish sauna and is recommended for people who are sensitive to high temperatures, seniors and children. One of the advantages of Bio Saunas is that we sweat in it much faster. People with sensitive skin are advised to enjoy a Bio Sauna’s temperature of 50° C rather than in an intensive Finnish sauna, which can be as high as 90° C.
In addition, the wood from which the interior of Bio Saunas is made, is proven to have beneficial effects on blood pressure regulation and sleep quality. 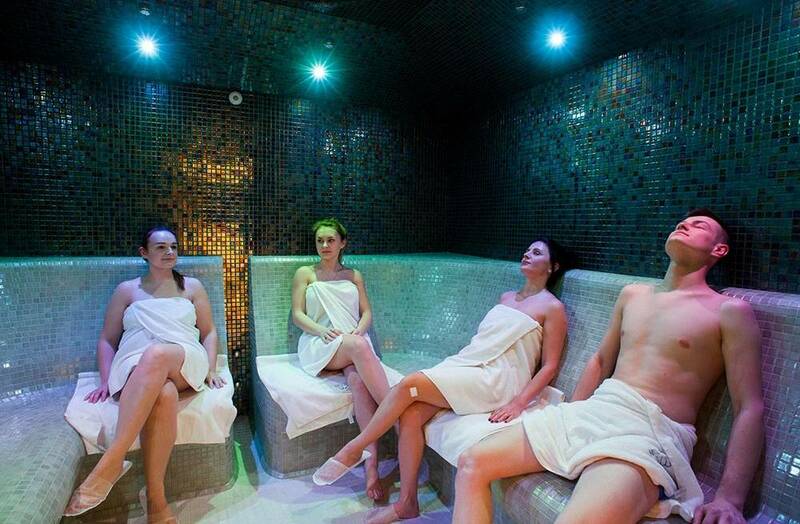 The steam room is a very popular sauna because of its pleasant climate and beautiful mosaic interior. Mild temperatures of 40-55° C and extremely high humidity of up to 100% have a particularly positive effect on our body. It improves our body’s resistance, reduces muscle tension, relieves rheumatic pain and help respiratory tract issues. In addition, the hot water vapor cleanses body from toxins, moisturises and smoothes the skin. Enjoy the benefits of the stream room and the great relaxation it provides! Atut Med&SPA also offers one of the most popular saunas in the world – Finnish sauna. It is characterised by high temperature of 85-100° C and low humidity of 5-15%. 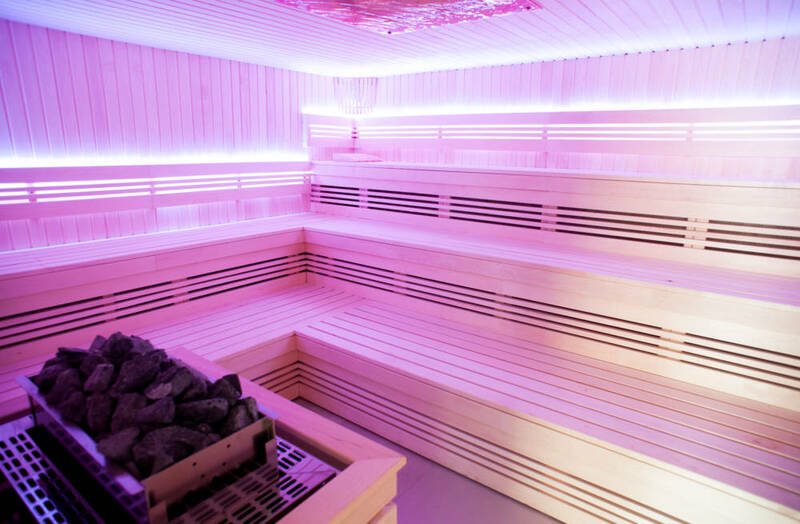 Regular visits to this sauna are beneficial for your body’s immunity and detoxification, it supports cardiovascular system and relieves muscle tension. In addition your body is able to burn up to 300 calories in one visit! 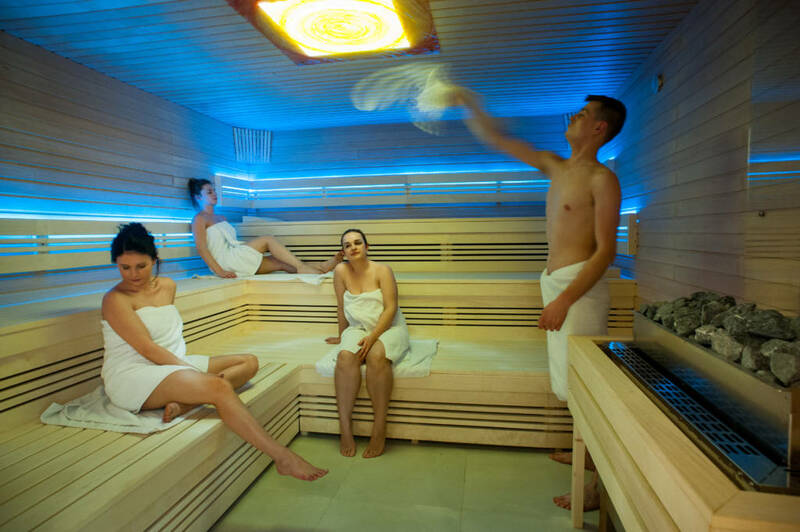 Proper use of Finnish sauna consists of alternating overheating and radical cooling of the body. 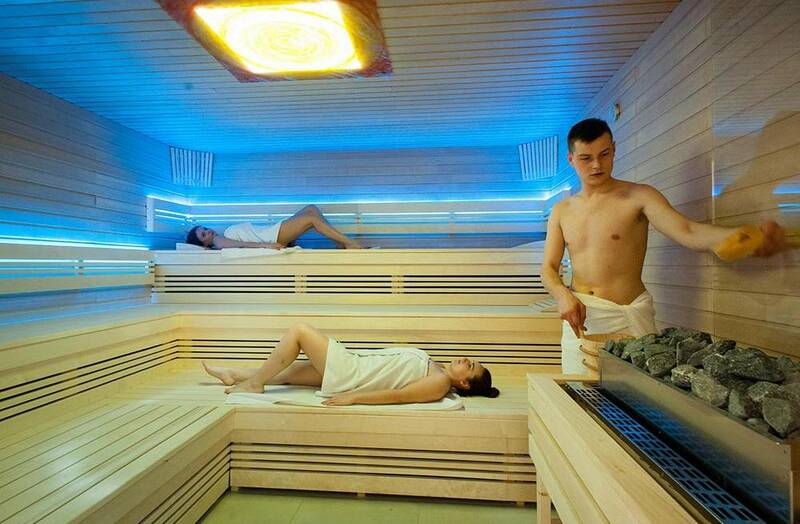 You should spend 8-15 minutes in the sauna, take a cold shower, dry the body with a towel and enter the sauna again. The Finnish sauna has recently became a new dimension of entertainment! Our guests can enjoy more than just a regular sauna visit and become spectators of a unique sauna show. A qualified sauna-mister gives an exciting performance using special towel movements, aromas and musical accompaniment. Additionally chilled drinks, frozen fruits or sweets are served during the show. Sauna show consists of 3 themed sessions of 10-15 minutes each. Between sessions there are 15-30 minute breaks for participants to cool down. The show is an unforgettable attraction!